This season, we’d like to introduce you to Panthers fans not just around the country, but all around the world. 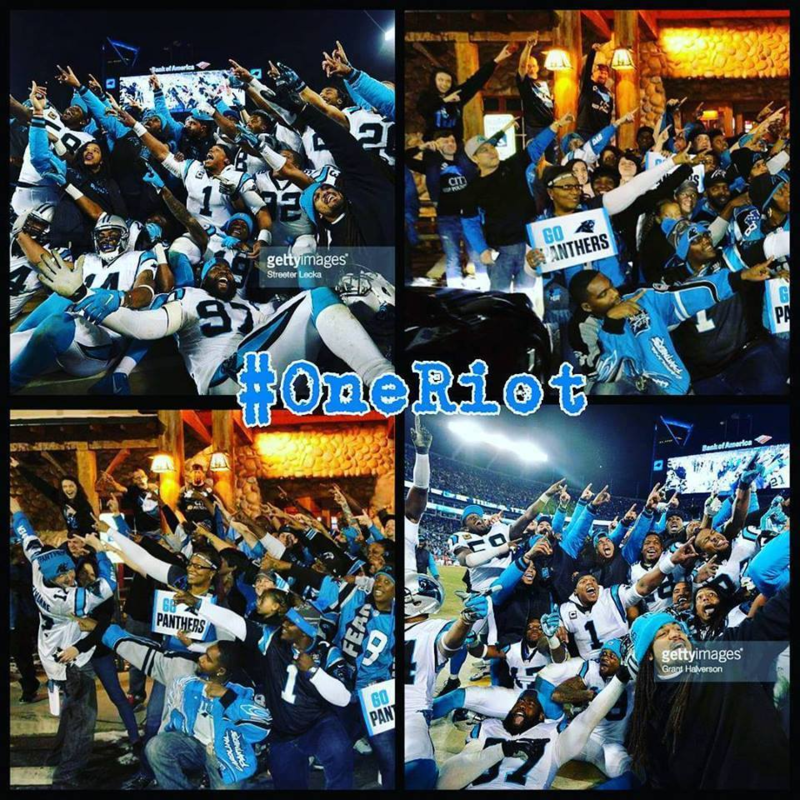 It takes a lot to be a Panthers fan outside of the Carolinas – people make fun of you, you’re ostracized at parties, people constantly send you gifs on Twitter of fumbles not being recovered – but The Roaring Riot aims to help alleviate that issue by creating a watch party for your favorite team in every city on the globe. Sometimes, it’s actually harder to be a Roaring Riot chapter the closer you get to Bank of America Stadium – the games are all on local TV, everyone can host their own watch parties on their couch – and the bigger the game, the more people actually make the trek to Mint & Morehead; not to mention that you’re competing with the official Roaring Riot tailgate in Charlotte! With that in mind, we’re chatting with ReShay Drummond, one of our favorite chapter leaders and the leader of the Upstate Riot, based in the Greenville & Spartanburg area of South Carolina. 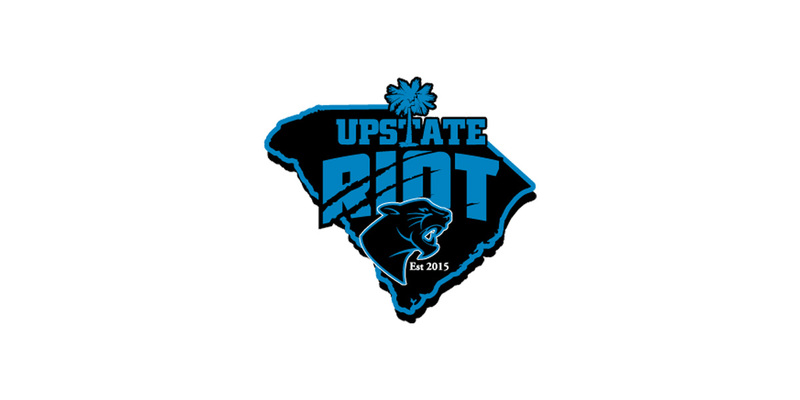 If you’ve ever been to a Roaring Riot event in Spartanburg, you’ve likely met ReShay! Who Started Your Chapter and When? Reshay: I started my chapter in 2015. 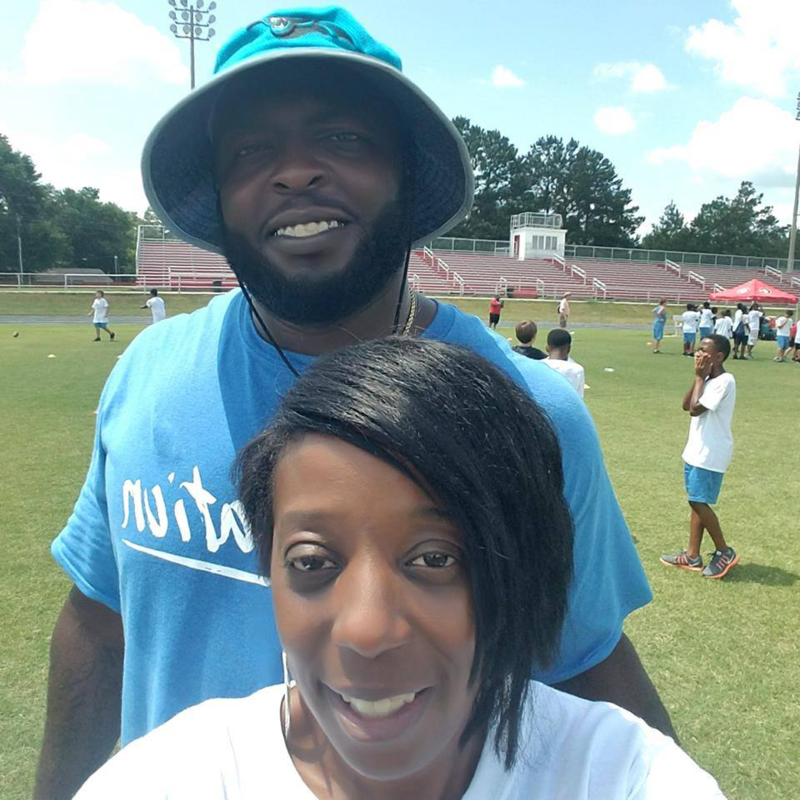 When I decided I want to start a chapter, I reached out to the biggest Panthers fan I knew at the time and that was Erica Starr. She was very instrumental in this chapter’s success. We had a different host bar that year, but it did not turn out well – they were not welcoming at all. I had just recently had surgery but was determine to make sure we made chapter status. ReShay: A typical game day starts out on Facebook in our group when we wake up with gameday inspirations. Then we head over to Twin Peaks to watch the game! ReShay: We’ve had as few as 7 and as many as 65 but on average there are approximately 20 people. What Traditions Does Your Chapter Have? ReShay: So, we have great traditions. Every year we pick a different song that we dance to after we score BUT it has to be after the extra point – that is a tradition that was started by Vito and Doc. This year the song is “I Bet You Won’t” by Level. We have certain people that have assigned seats like Chip, Cody wears the same jersey each game and we also have a tradition that actually involves a Dallas fan. During the 2015 season, when we would be doing bad – not often – there is a Dallas fan – he goes by Big Dude – who just happens to have two sons. One is named Dallas and the other is name Cam…hilarious, right? But anytime we start looking bad he would come in talking trash and then we would score. So now, we go grab him. If there are opponents’ fans in the bar, we will dance through the bar when we score. Jackie has her infamous cow bell. We tasked Curtis Jonson with talking to the :ord for us since he is a minister and he was actually selected to do the invocation before a Panthers game during preseason at BoA Stadium! At least one game, we will take the whole fan club to BOA and tailgate in the parking lot. BUT – our most import tradition is “SHOTS FOR ASTRA” – we noticed when we needed an extra boost, one of our members Astra would be nervous and she would take a shot. Low and behold, it worked. So, when you might watch a game with us, you will hear people shouting that Astra needs a shot. And the person who orders it has to order Astra’s preference – usually Tito’s – and they have to pay for the drink. Don’t knock it until you try it, it works! Is it hard finding Panthers fans? ReShay: Not at all! Our members will spot a person in Panther gear and come get me because I have the gift of gab…lol! Or they will get John Rucker we call him “The Riot Ambassador” and then they love us! 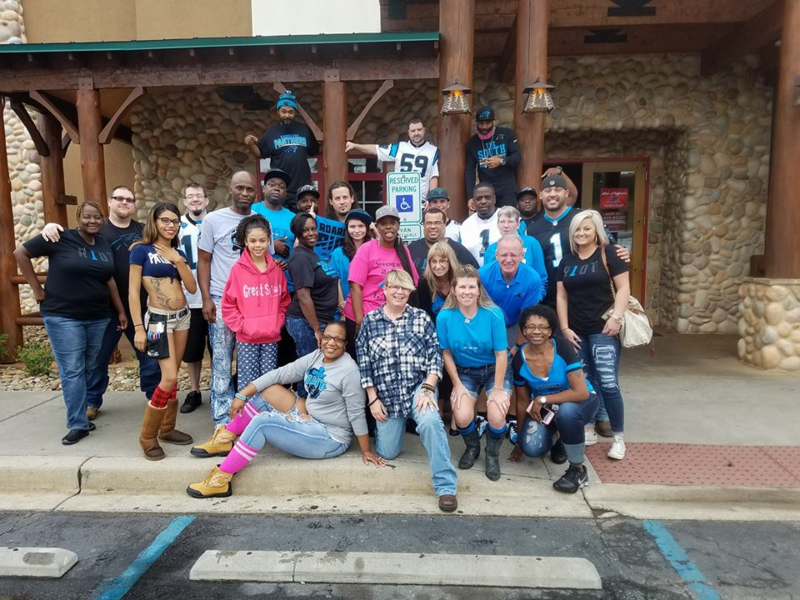 Have you ever spotted a Panthers fan on the streets and invited them to watch with you? ReShay: The Street, restaurants, anywhere! John, DeeDee and I were headed to the Atlanta game one year when “The Ambassador” got people to pull over at a Wal-Mart and gave them the run down – I even had my own business cards made, so I simply hand out the card! Are there particular challenges that your city faces? ReShay: Yes, our club is spread out over seven counties. I have been thinking about encouraging other people to start chapters in their area. Any issues with Falcons or other NFL teams’ fans? ReShay: We have no issues with other fans, we actually make it a game. Like I said before, if we can garner some luck from them, then we’ll take it. And to be honest, as close as we are to Atlanta, there are very few fans in this area. Why Did You Want To Lead A Chapter? ReShay: I became a chapter leader because I wanted to be with like-minded people and be able to express all the love I have for my team in an EPIC way. What Does Being In The Roaring Riot Mean To You? ReShay: It means that no matter where I travel to see a game here in the states or overseas, there will also be my other Panther brothers and sisters. It’s really hard to describe in words because when I started this journey, I didn’t think that I would be able to get the required 25 members [to become a full chapter], but according to Zack, we actually accomplished it in a short amount of time. What One Place Would You Recommend Panthers Fans Eat near y’all? ReShay: Actually, the best place to eat in our town doesn’t exist at the moment. The restaurant will be Club 1127 and it is in the process of being established – the chef is one of the best around Greenville and he is actually a Panther fan – Anthony Griffin. Every year, he has an EPIC tailgate and the food is not our ordinary tailgate food. He packs a punch when he shows up with his five grills in one tailgate! ReShay: Go Check out the Swamp Rabbit Trail, a 22 mile multi-use greenway system – the highlight is the Falls Park, you have to check out the Liberty Bridge, which runs over the waterfall that basically sits in the middle of downtown. ReShay: Cheddar’s Scratch Kitchen they have a drink on the menu called the “Pain Killer” and they will on sell you two drinks max! When Was the Last Time You Went To A Game in Charlotte? ReShay: I have a season ticket, but I have decided to give at least one game away to a fan that has never been to a game or one whom I deem worthy. Who’s Your Favorite Panther of All Time? Uuuugggh, that is so so unfair! I can give you a top three with one that stands a little bit above the other. Josh Norman, Thomas Davis and my number one pick is CJ, Charles Johnson. When you get to talk to him again, tell him his girl Shay from Greenville said hey and he really needs to start another charity – I can give him some ideas. Tell him to holler at his girl.